The Dremel EZ Lock mandrel makes accessory changes easy as PULL - TWIST - RELEASE. The one-piece mandrel design simplifies the process of changing sanding discs and makes it easy to sand flat surfaces and edges. For use with the EZ402 EZ Lock Mandrel. Diablo's premium sanding discs (50 pack) include breakthrough innovations that improve performance, extend sanding life and increase productivity. Diablo's premium sanding discs (15 pack) include breakthrough innovations that improve performance, extend sanding life and increase productivity. 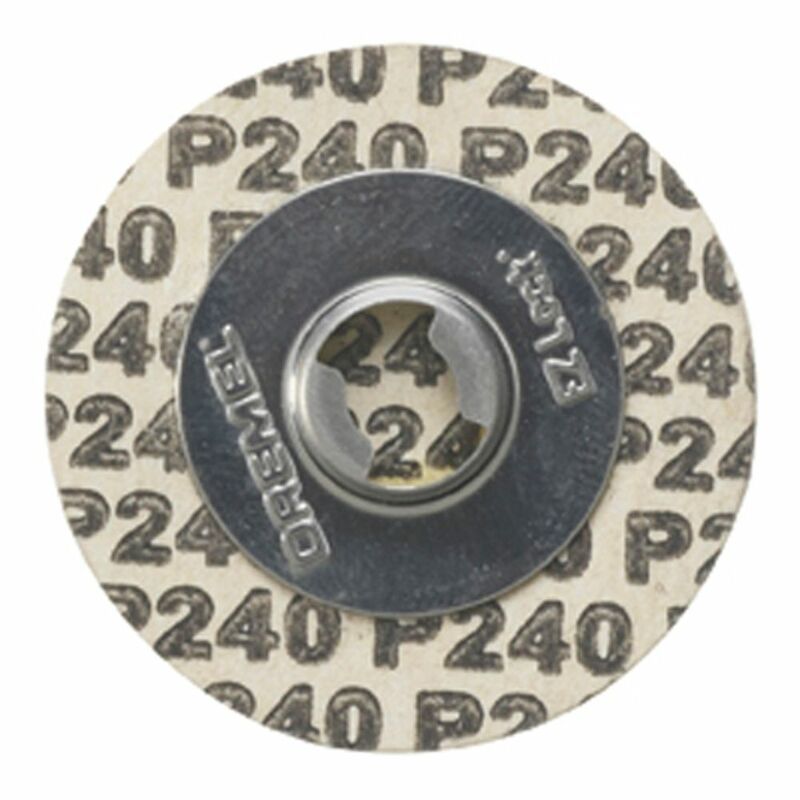 EZ Lock Sanding Discs, 240 Grit The Dremel EZ Lock mandrel makes accessory changes easy as PULL - TWIST - RELEASE. The one-piece mandrel design simplifies the process of changing sanding discs and makes it easy to sand flat surfaces and edges. For use with the EZ402 EZ Lock Mandrel. EZ Lock Sanding Discs, 240 Grit is rated 4.0 out of 5 by 4. Rated 5 out of 5 by Sandman from I have been using the EZ Lock products for the last couple years, I like how easy they are to ins... I have been using the EZ Lock products for the last couple years, I like how easy they are to install, The 240, 120 and 60 grit work very well, I like using the 240 grit for final sanding wood products that I work on and it save's me a lot of time. I will continue using these products in the future. Rated 5 out of 5 by Anonymous from EZ Lock is a great invention! The 240 grit discs are great for sharpening small blades, includin... EZ Lock is a great invention! The 240 grit discs are great for sharpening small blades, including chisels. The EZ Lock cut-off discs are also excellent.